DIAGNOSTIC FEATURES: Adnate, foliose to squamulose growth habit; embedded perithecia; NIS; on bark. 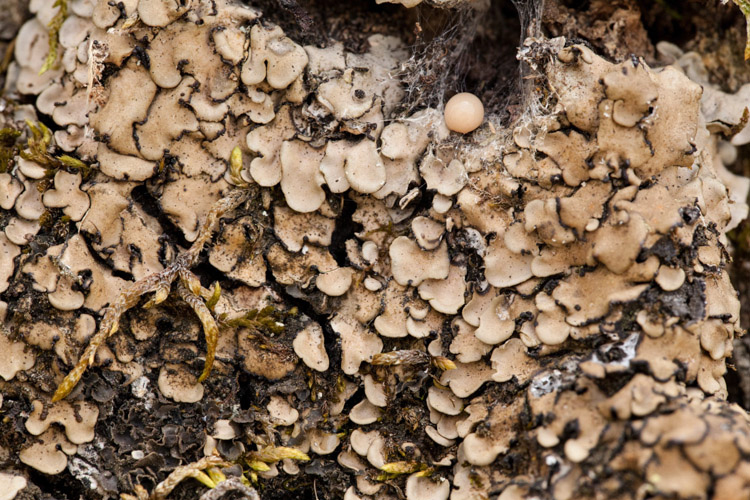 This is the only foliose lichen with perithecia which grows on bark. ECOLOGY: Widespread in the eastern US but not commonly collected; records from ten Ohio counties; found exclusively on bark, usually that of white oak.